Fancy a chit chat with a video production company that loves film making? Media Dog is a Birmingham video production company that loves a good chinwag about film making. Whether you want to discuss a corporate film, a marketing video or general film making – get in touch. Give us a call, drop us an email or pop in to see us – we’re always here to talk video production and discuss your ideas. 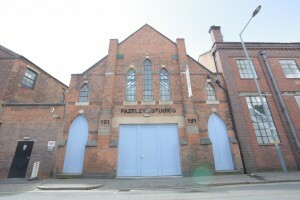 Our Media Dog kennel/ production company is in Fazeley Studios, one of Birmingham’s trendiest media hubs – you can’t miss the big blue doors into the stunning entrance gallery. Feel free to park in our visitors car park, situated on the corner of Fazeley Street and Rivers Street. We look forward to hearing from you/ seeing you soon to discuss your film production.